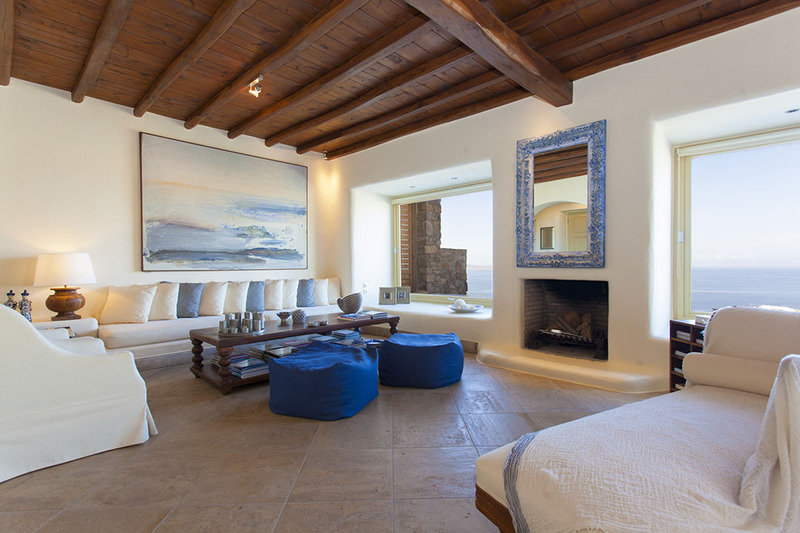 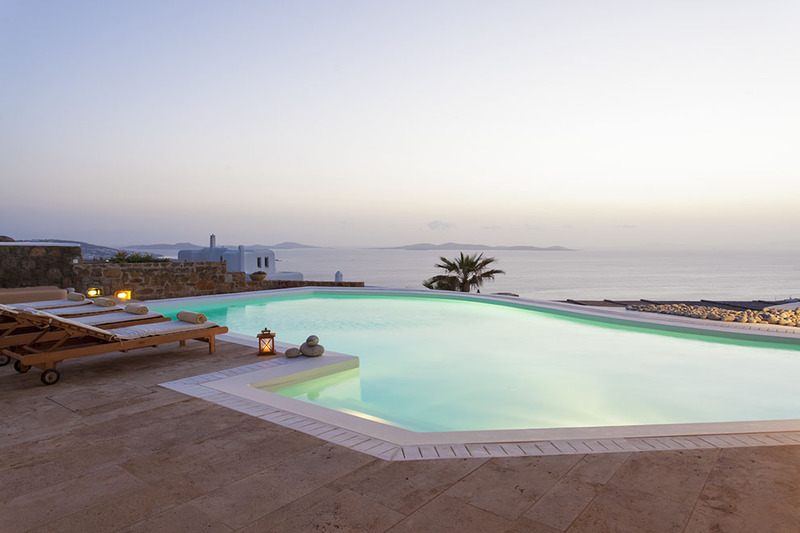 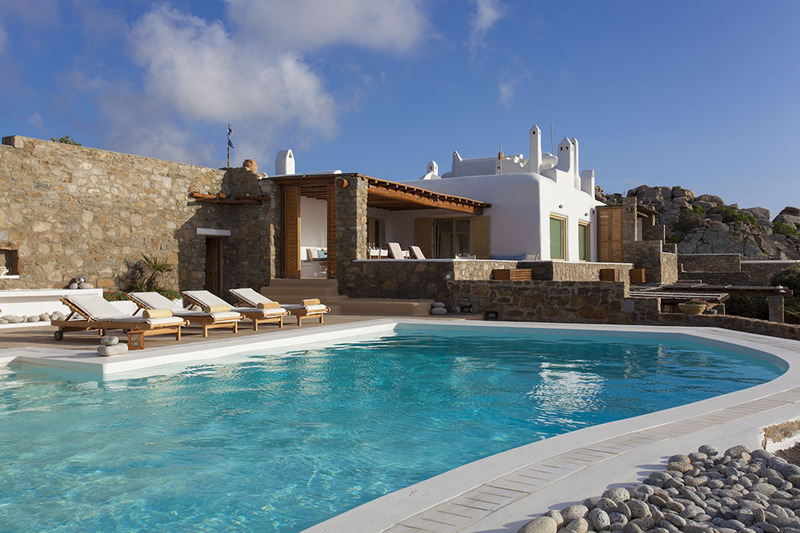 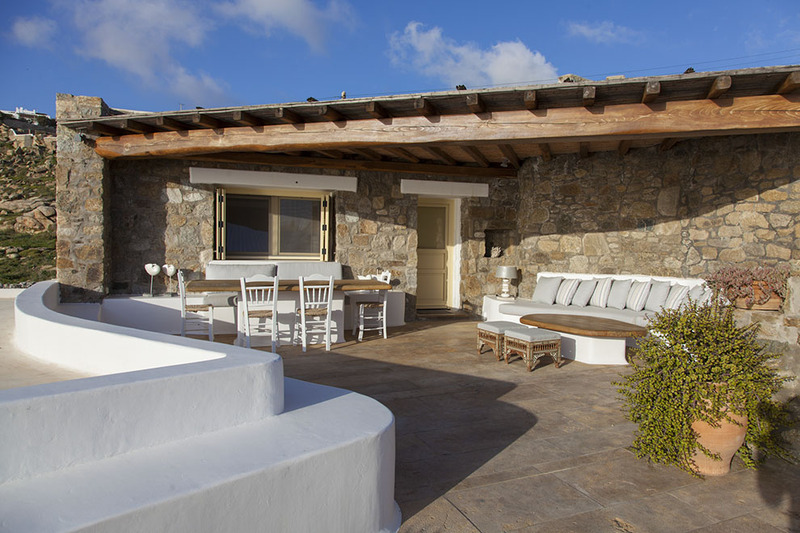 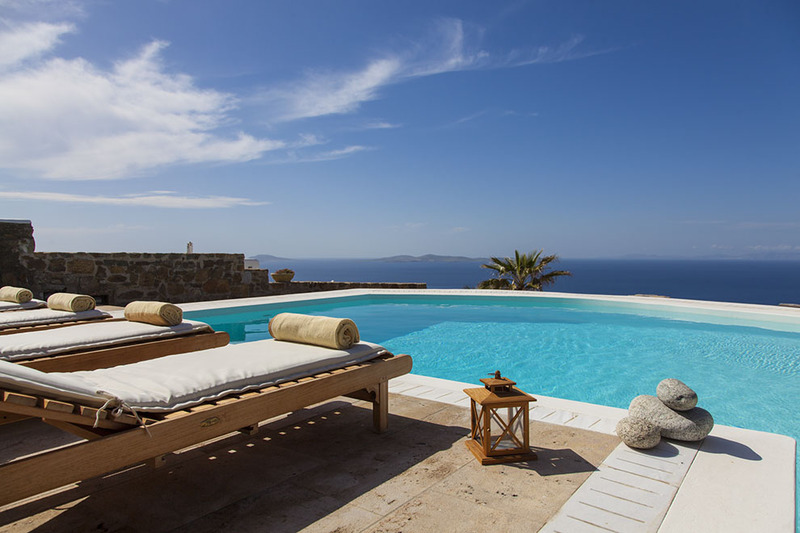 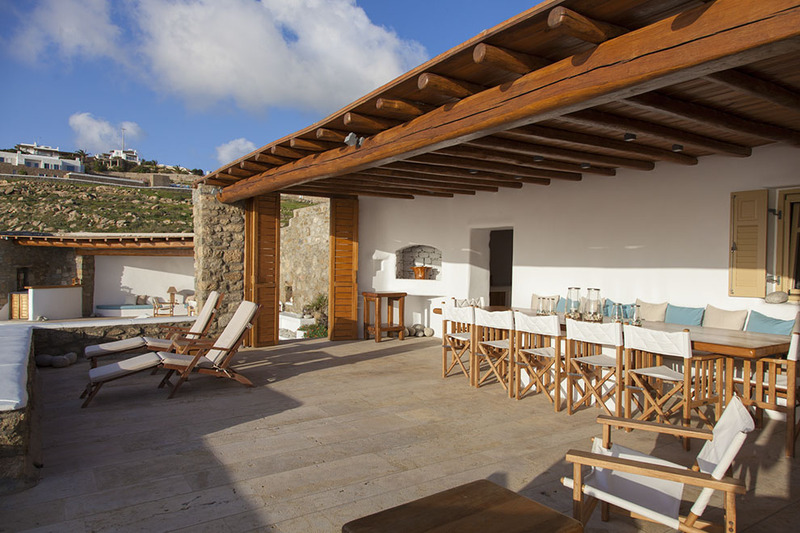 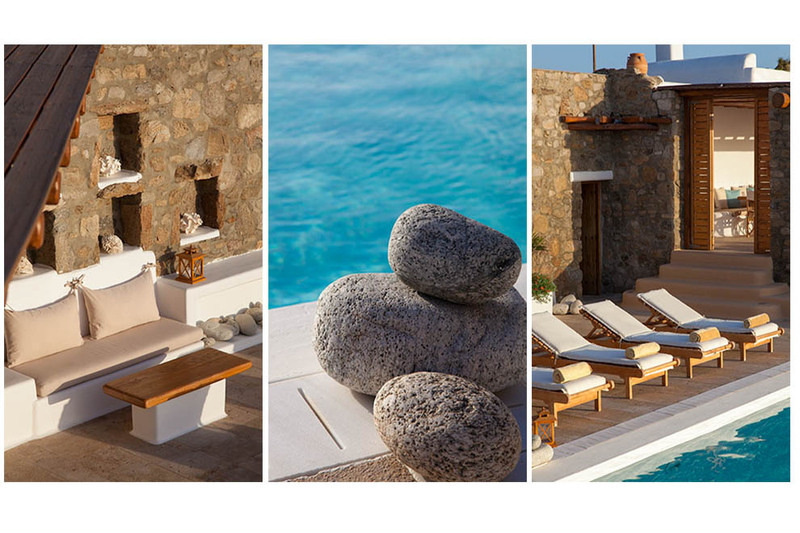 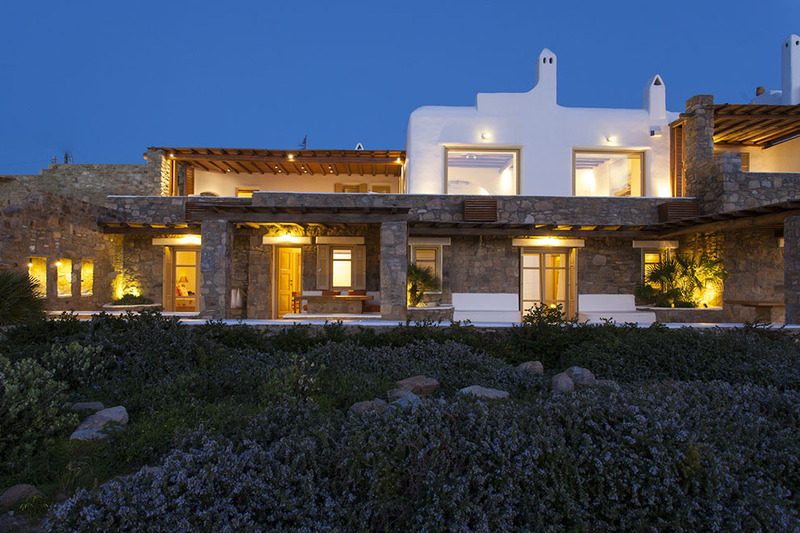 The luxurious Villa Blue Unlimited stands on a perfect location, in the northwestern part of the island, 5’ away from the picturesque town of Mykonos. 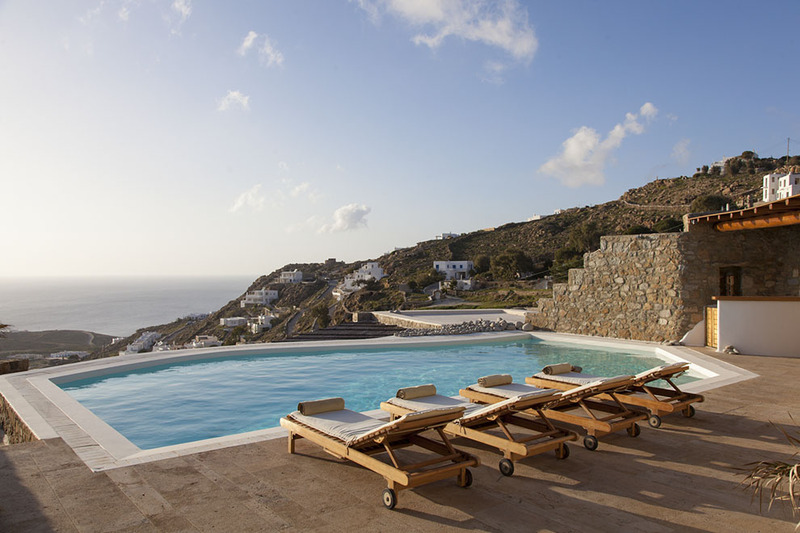 The location allows for an extensive breathtaking view, combining the sublime quiet area and the cosmopolitan center of the island. 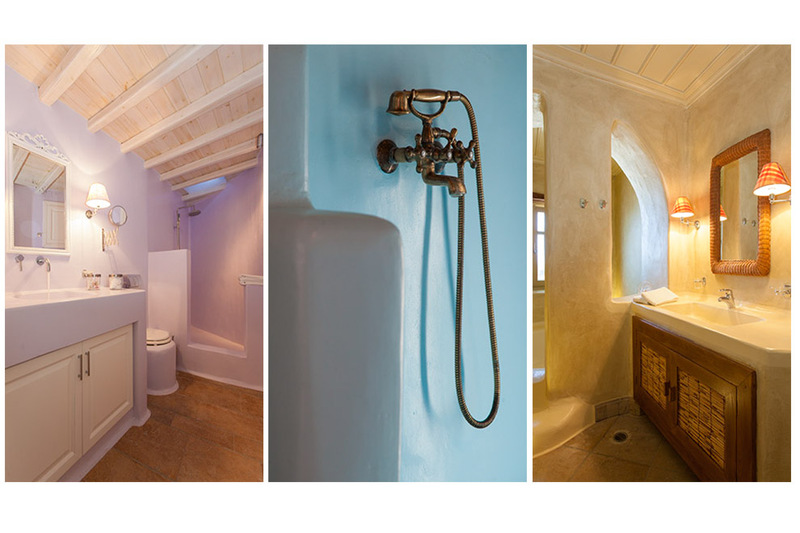 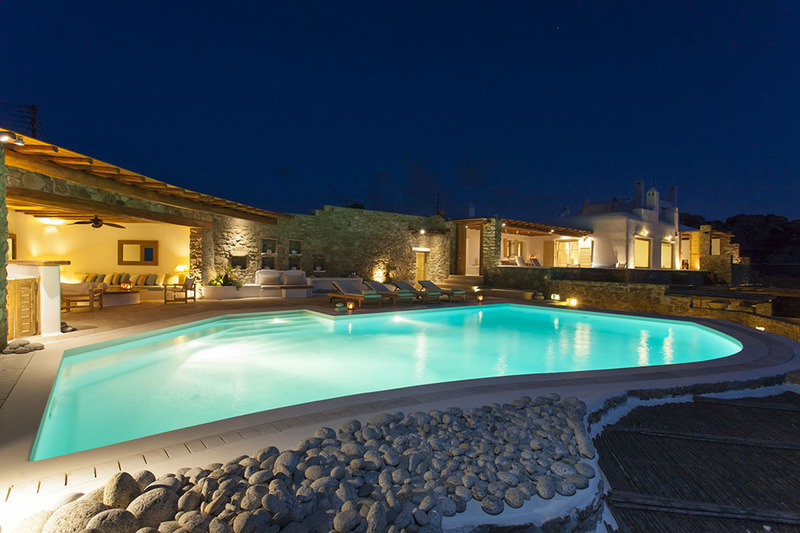 Villa Blue Unlimited is developed in two levels. 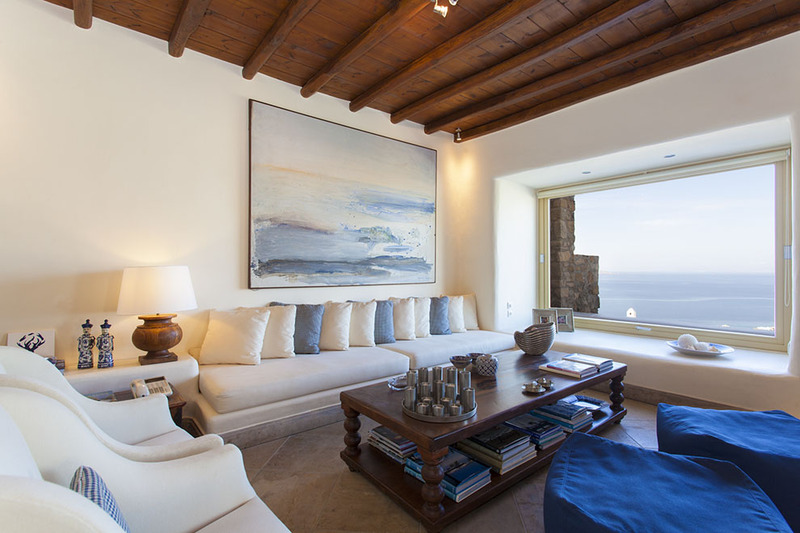 The upper level of the Villa, offers a large living room area with infinite view of the amazing sunset, a spacious modern kitchen and a master bedroom with a large comfortable bed, designed with an elegant way offering an ideal impressive view also. 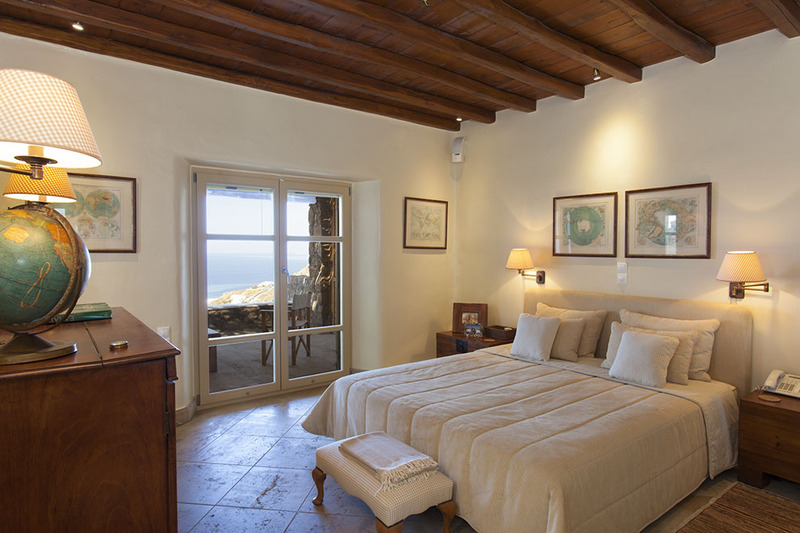 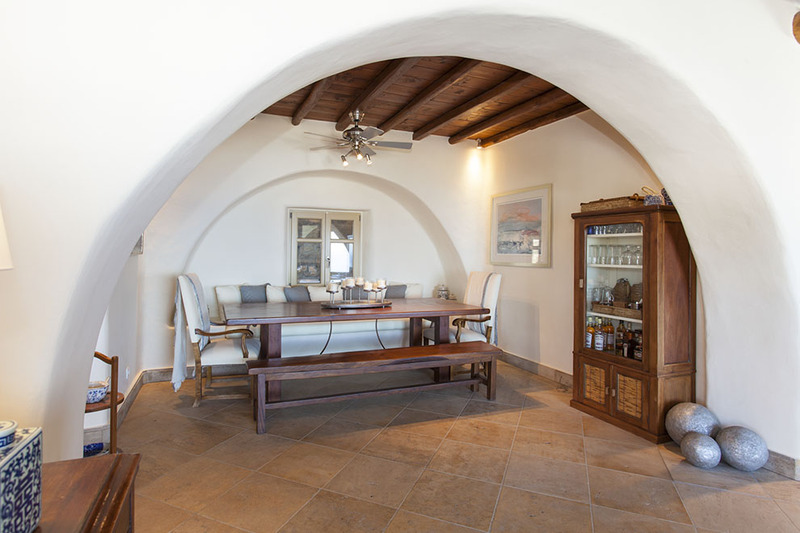 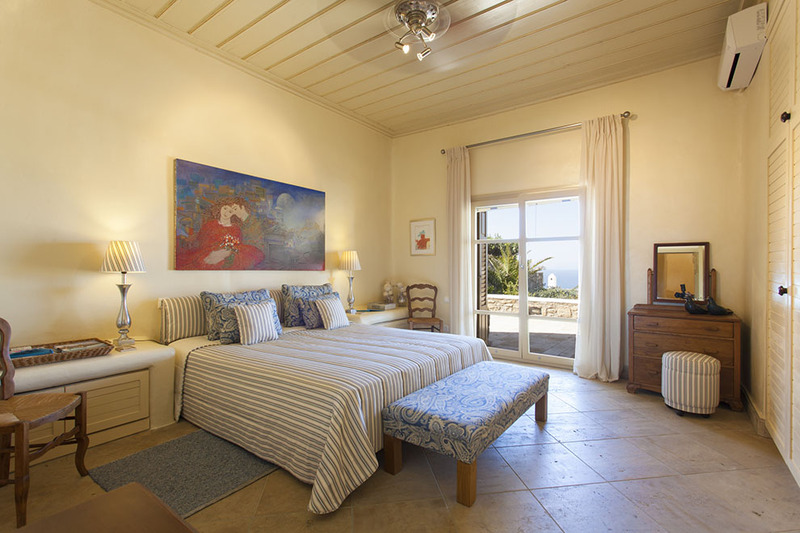 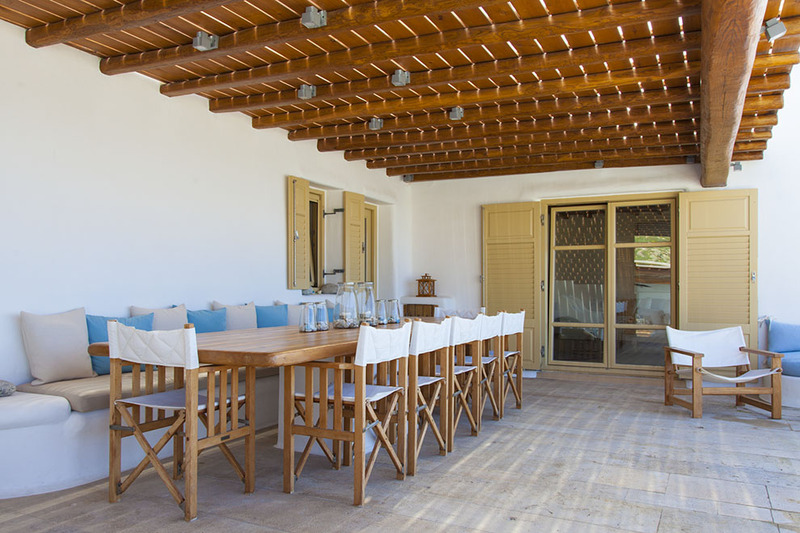 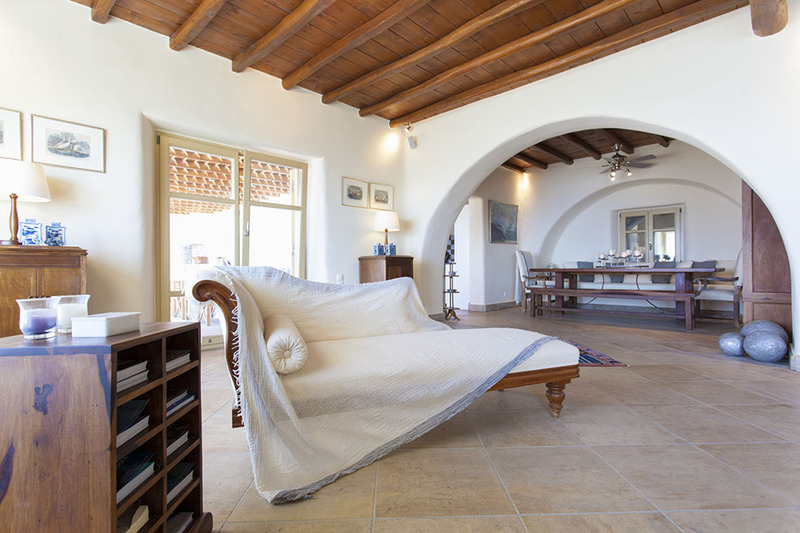 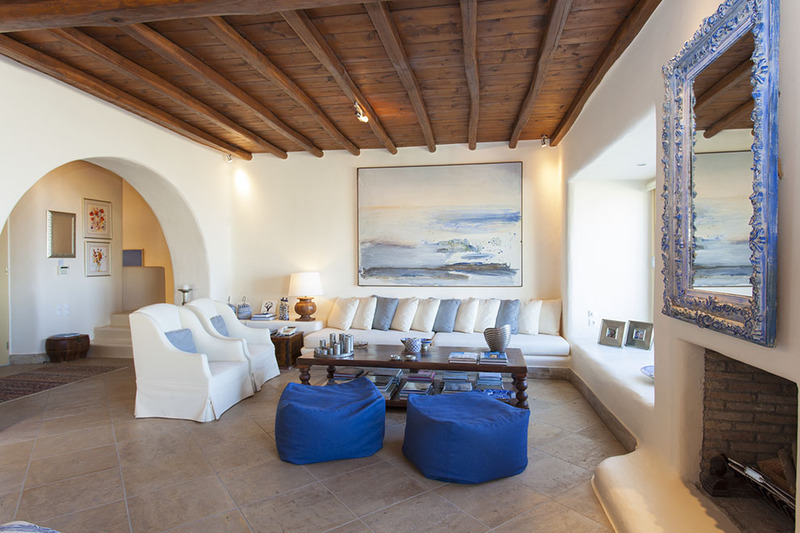 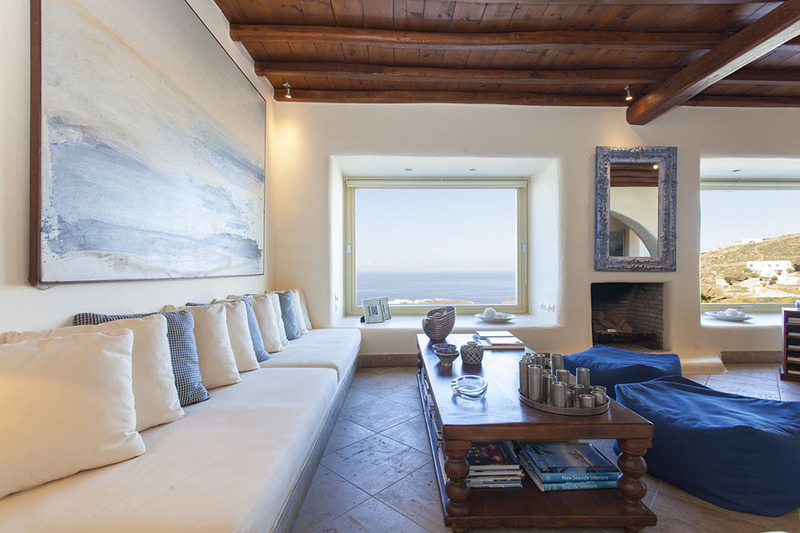 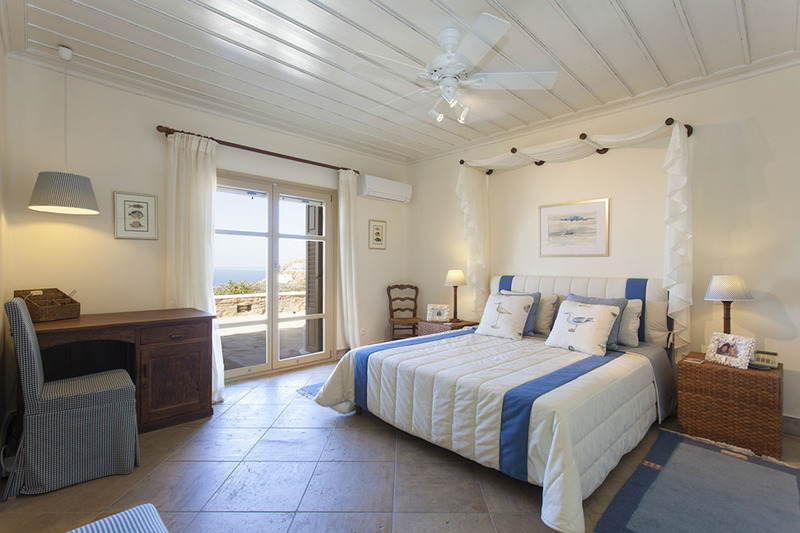 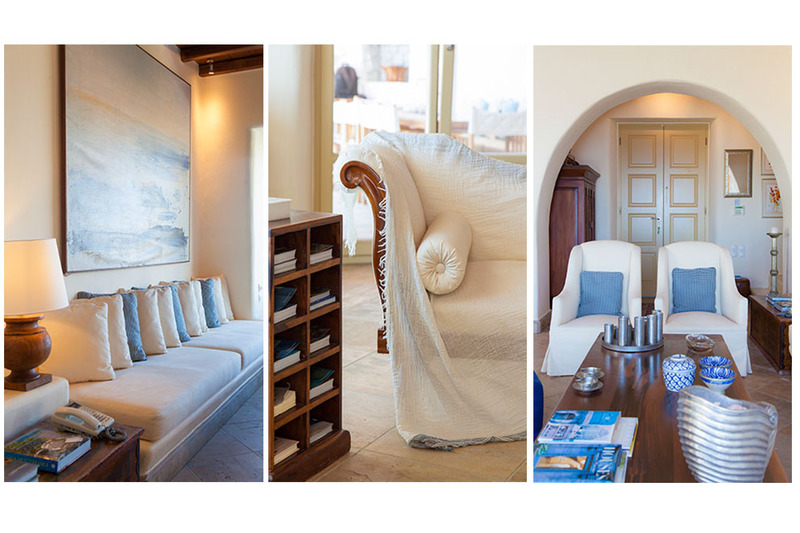 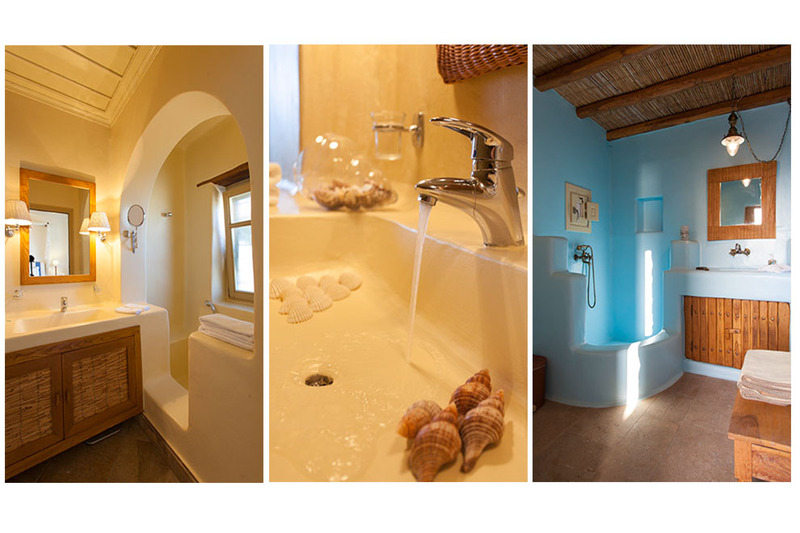 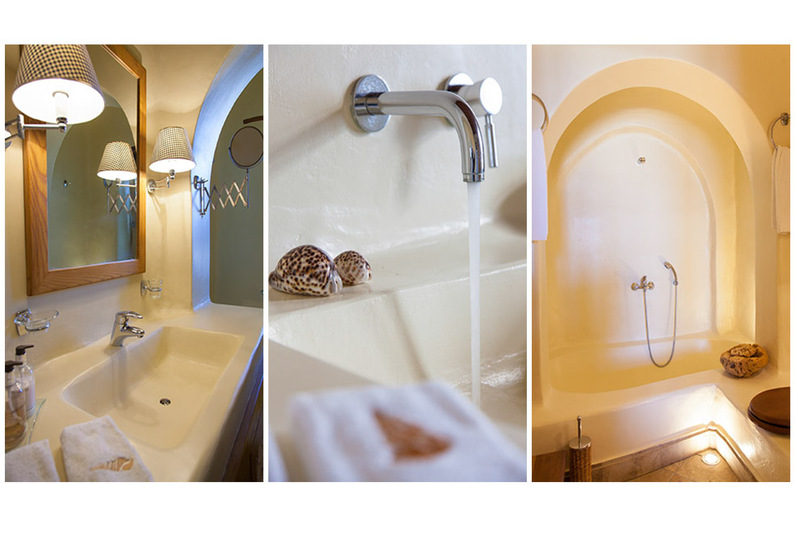 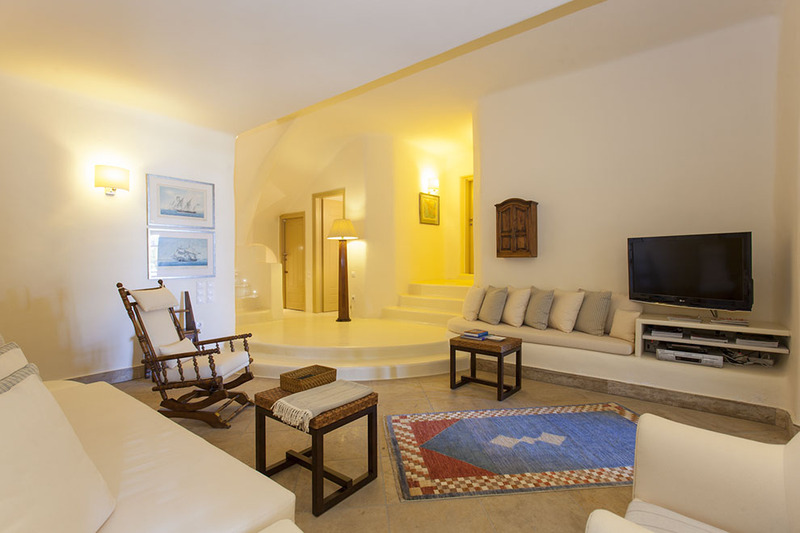 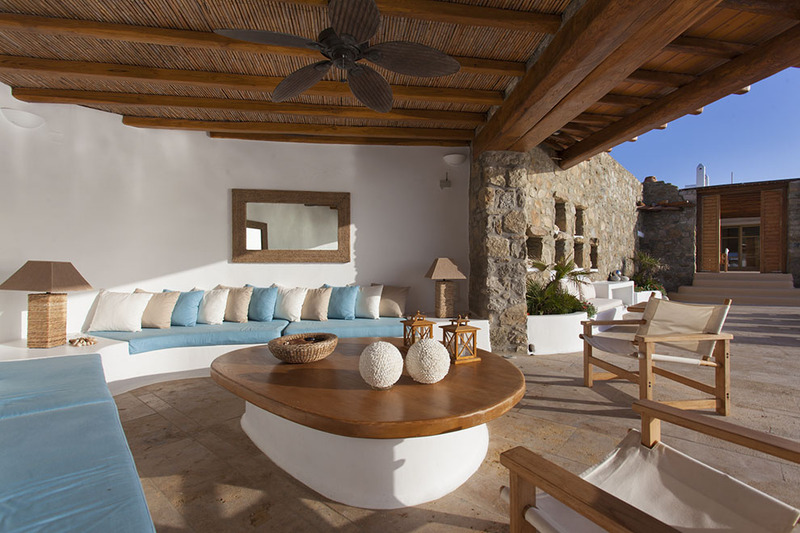 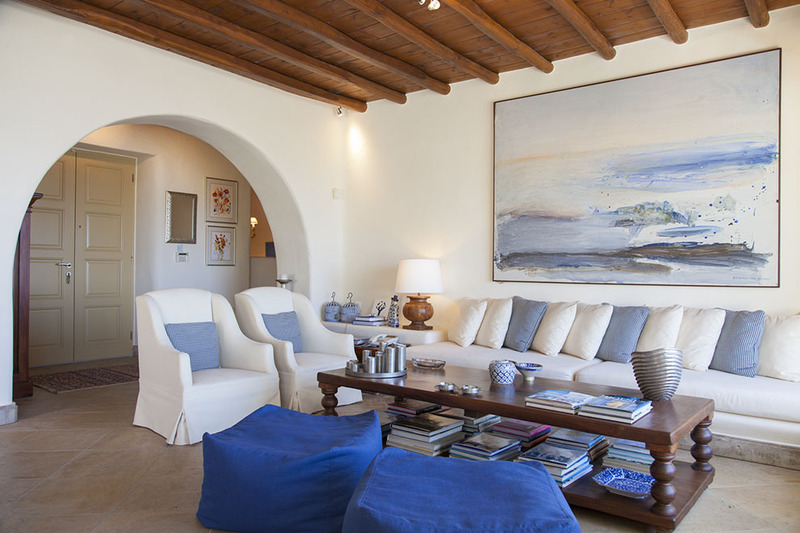 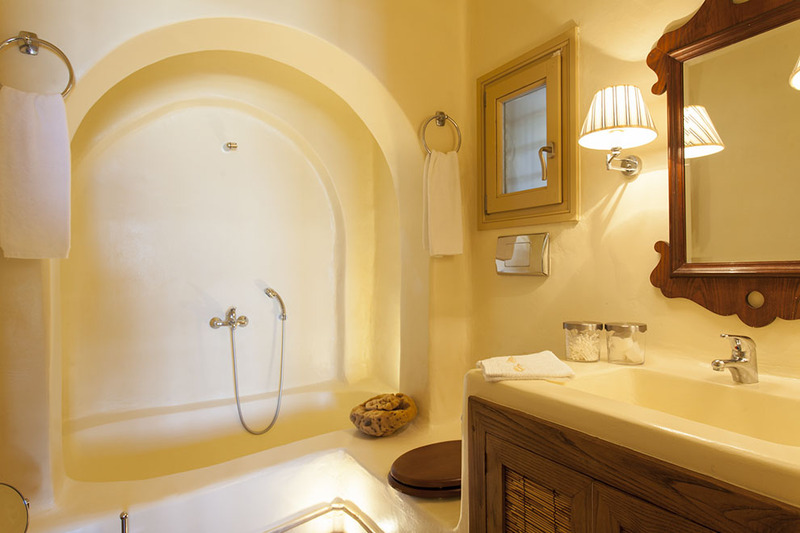 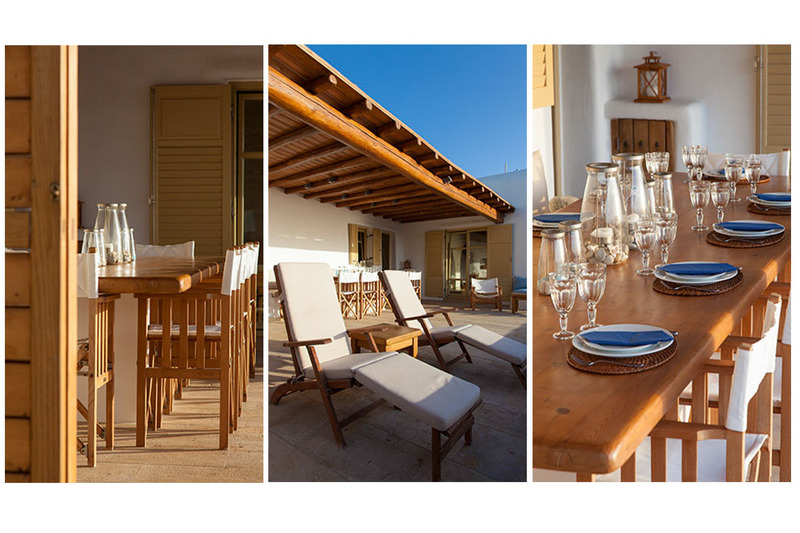 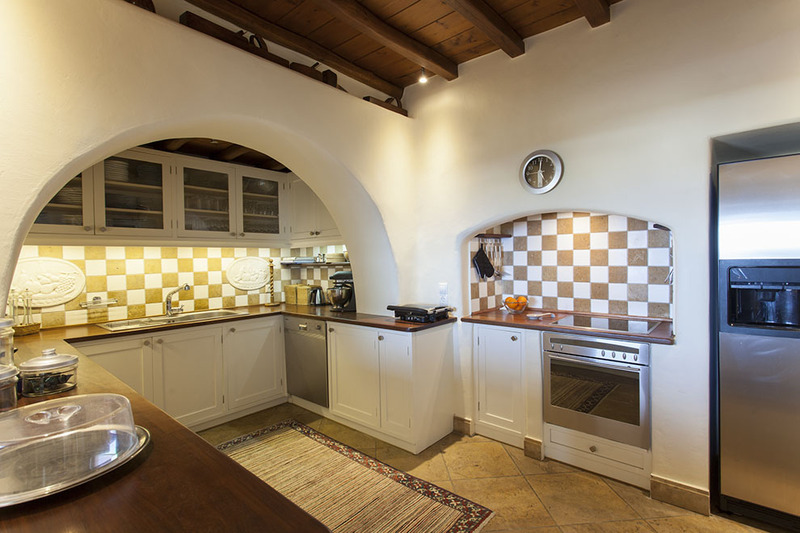 At the lower level of the Villa, we can find a second living room and three comfortable traditionally designed bedrooms with a perfect furniture selection, promising a comfortable stay. 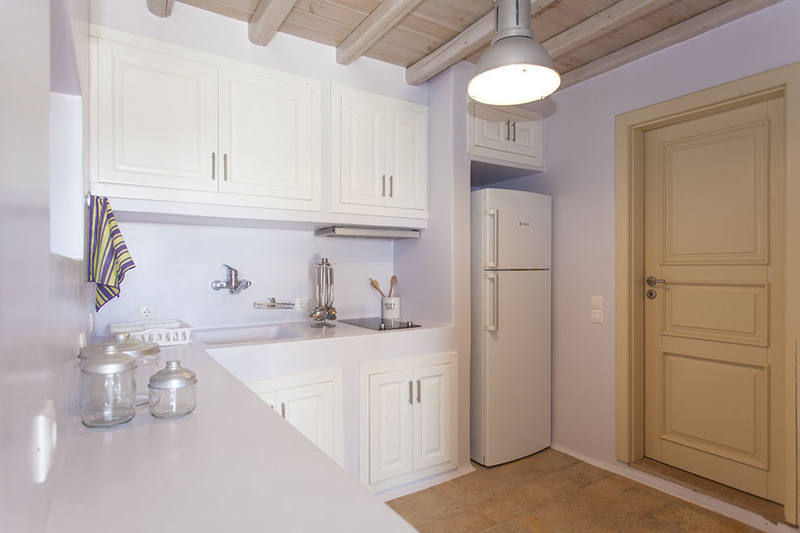 In a very small distance there are two studios designed to accommodate up to 6 people. 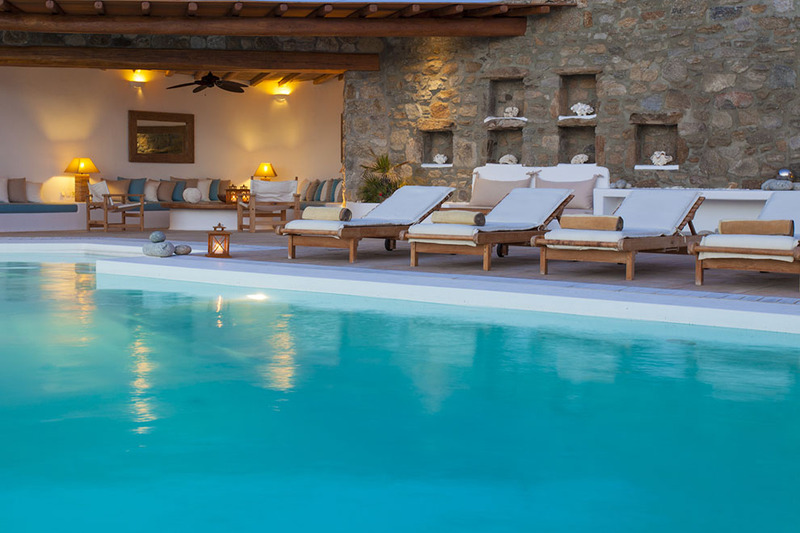 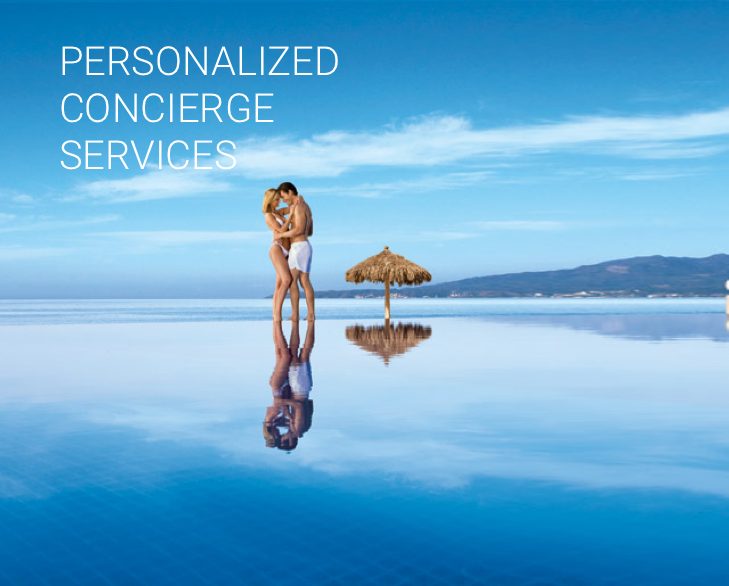 At the exterior grounds we can find the magnificent infinity pool and the beautifully decorated external spaces, with many elegant sun – beds and beautiful pergolas which provide shades, ideal for relaxation or cocktail parties taking pleasure in the amazing pool with the infinity edge blending into the sea. 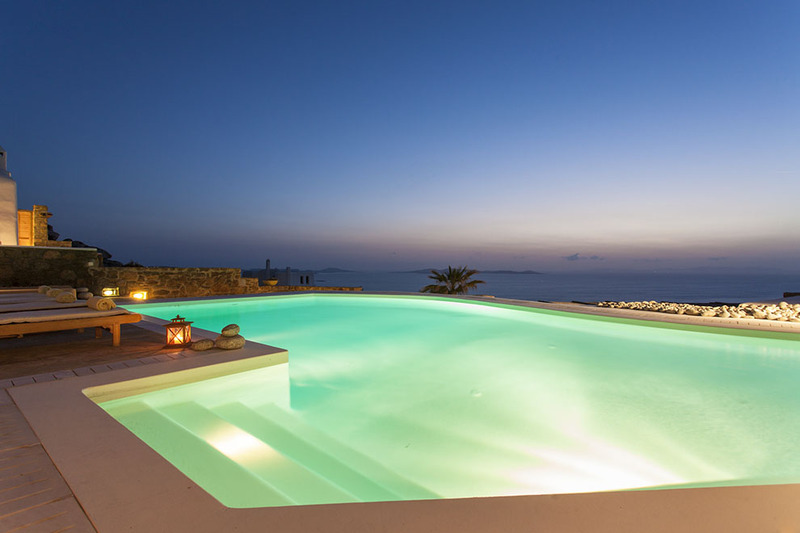 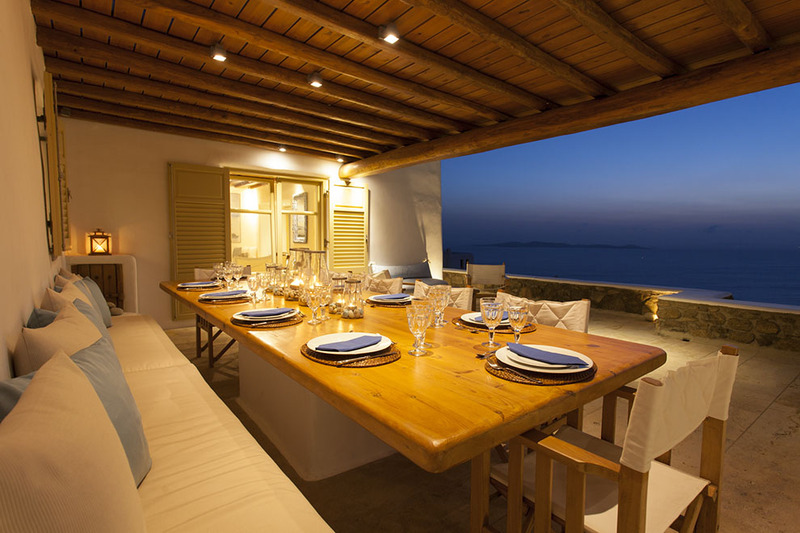 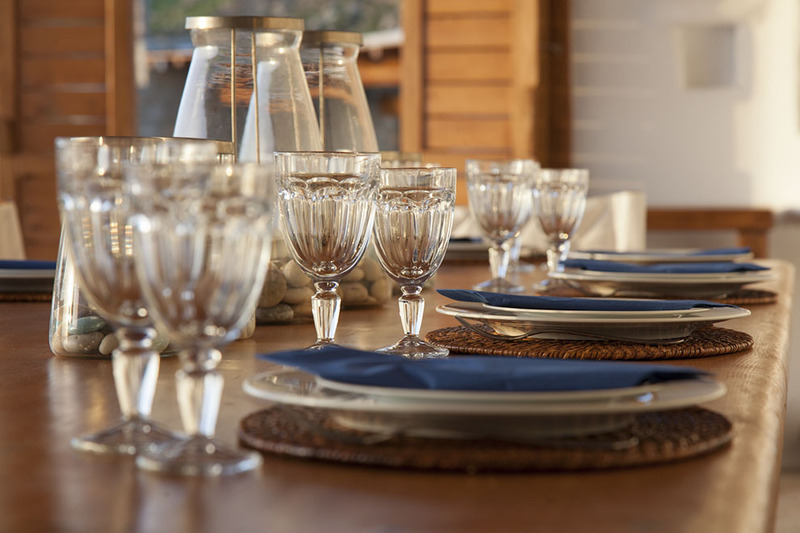 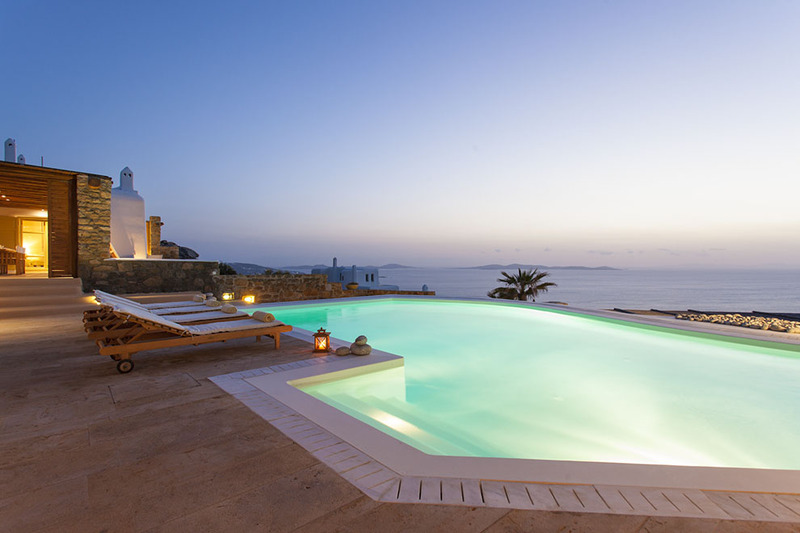 Villa Blue Unlimited is ideal for families and those who wish for a combination of a unique tranquil environment, magical south beaches and a picturesque landscape right next to the intense nightlife of Mykonos.